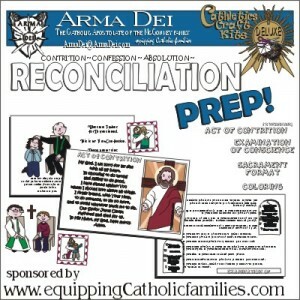 Equipping Catholic Families for the Month of May! 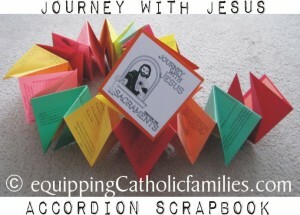 Welcome to our monthly summary of crafts and family traditions related to the Monthly Devotion, Key Feast Days and the appropriate Season of the Liturgical Calendar. 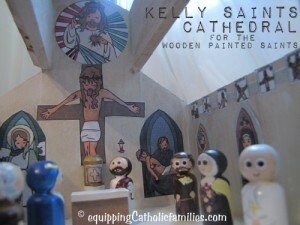 Here’s a quick picture summary of some of our favorite Mary and Rosary crafts! 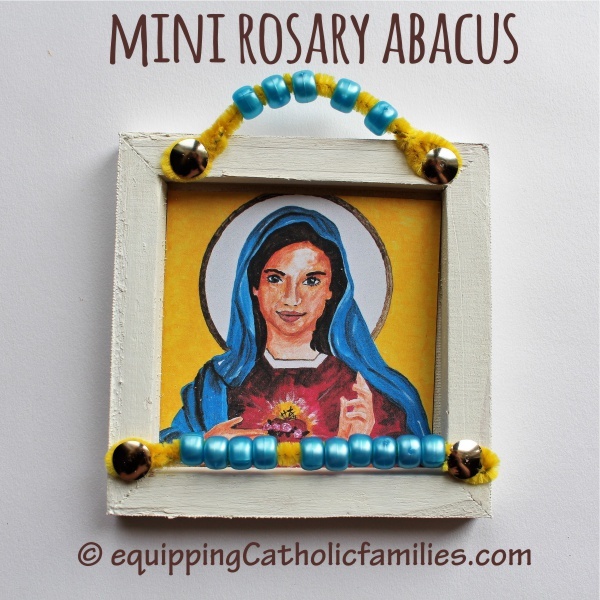 Recently, I painted my own custom Mary icon for our family and I decided to use a print of it for another special little craft. 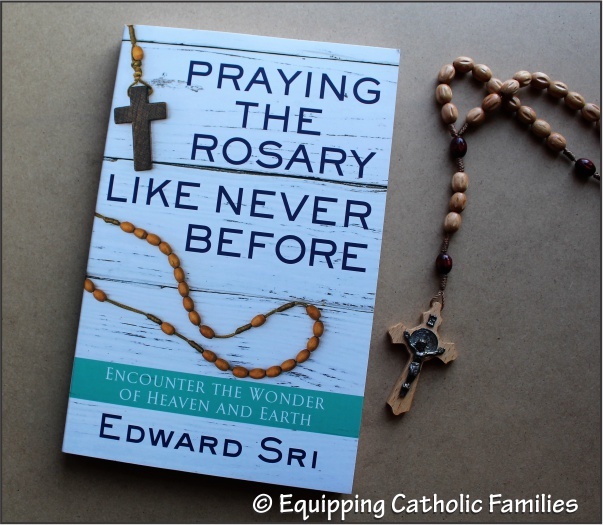 Since I finally joined the ranks of Daily Rosary Prayer last summer, I’ve been continuing to find better ways to stay focused and pray my 5 decades a day… see Reluctant to Regular Rosary Prayer for 5 Practical tips! 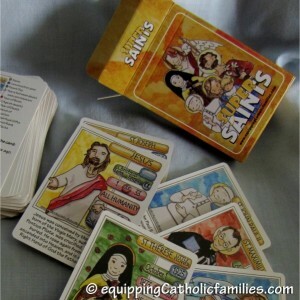 Equipping Catholic Families…for February Saints! 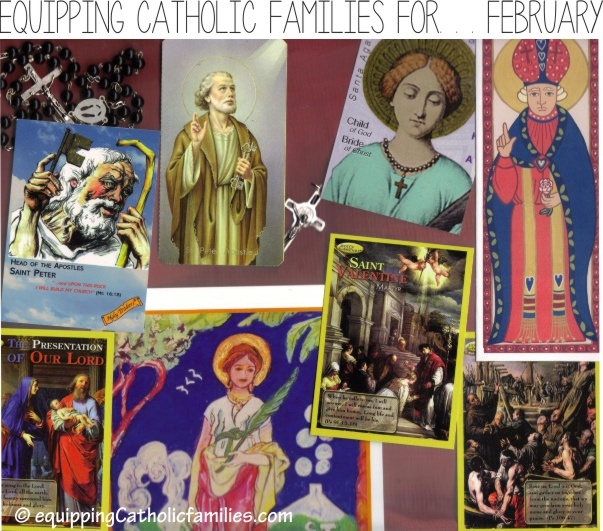 Equipping Catholic Families for February Saints! St Valentine (February 14) Keep the SAINT in Saint Valentine! 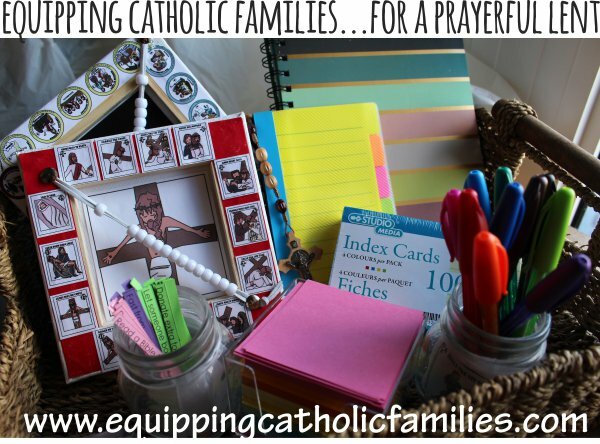 Equipping Catholic Families…for a Prayerful LENT! 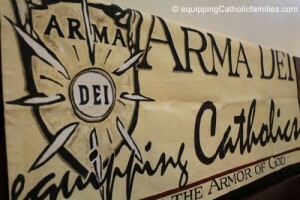 Lent is only four weeks away! 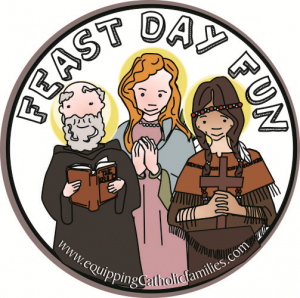 Just in case you want to plan ahead, we’ve compiled our Lenten activities and family traditions. 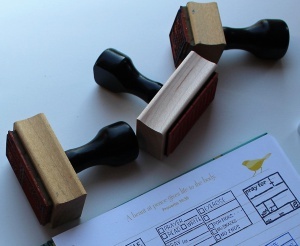 Want to make this a particularly prayerful Lent? 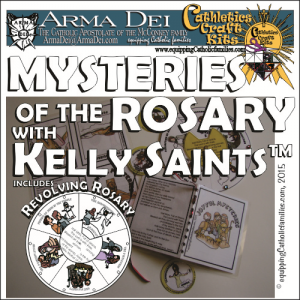 Paper Chains, Prayer Abacus, Revolving Rosary, Stations of the Cross and Works of Mercy Carousel…just some of the Catholic Craft Kits we have …packed with prayer and our original Kelly Saints illustrations! 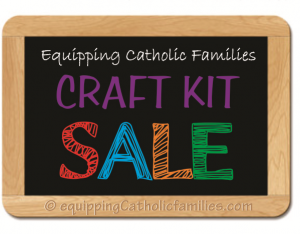 Hands-on crafts to build up your family prayer! 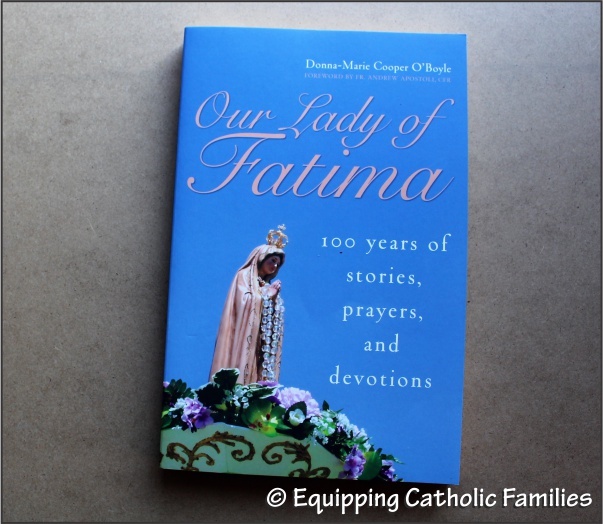 Equipping Catholic Families with…Book DeBriefs is a series of book reviews on awesome Catholic books published by Franciscan Media* and its imprint Servant Books, both offering excellent spiritual reading to boost prayer life, devotion and Faith. 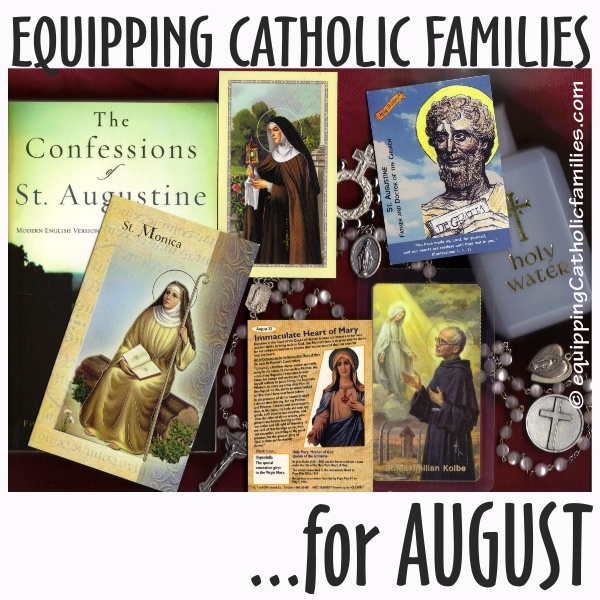 NEW FEATURE: Equipping Catholic Families for August! 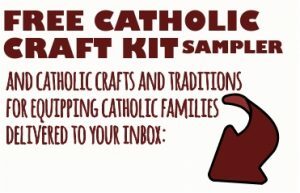 We will be posting a monthly summary of crafts and family traditions each month related to the Monthly Devotion, Key Feast Days and the appropriate Season of the Liturgical Calendar. 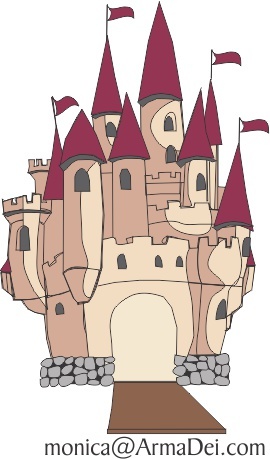 We hope to give you a little more notice next time…launching the summary post a week or two before the start of the month. 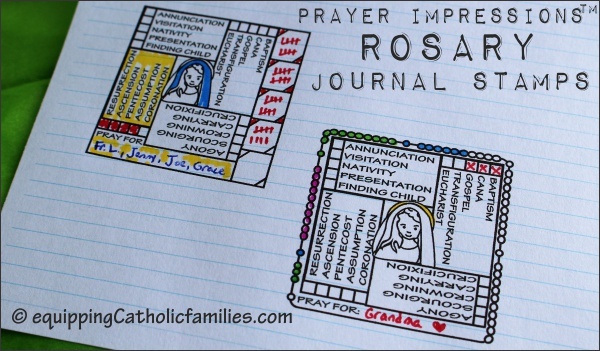 We’ve just added a couple ROSARY Journal Stamps to our Prayer Impressions Journal Stamp Shop! 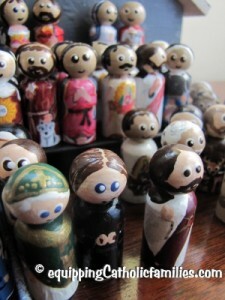 After having recently re-committed to saying the daily Rosary (see 5 practical tips for the Reluctant Rosary prayer), I’ve been working on a few tools and tips that have helped me make it a lasting habit. 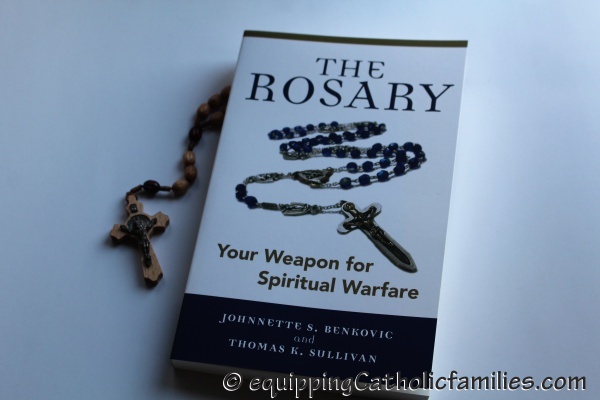 So… the Rosary is a remarkable prayer tool and devotion and I know many people who credit the Rosary for answered prayer and family blessings. 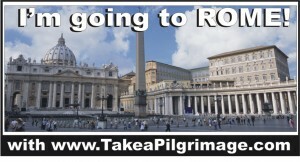 Countless pope, saints and priests have encouraged us to say the Rosary, citing the Graces. 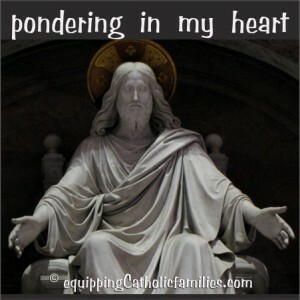 Our Lady herself promises that her Immaculate Heart will indeed triumph, especially with increased dedication to this daily devotion. 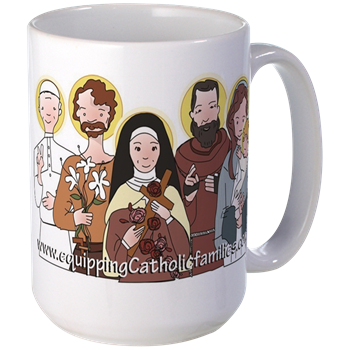 For years, I’ve heard the beautiful graces attached to daily recitation of the Rosary, especially said as a family. 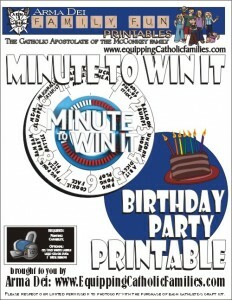 Recently, I was given this book* from Franciscan Media and the timing couldn’t have been better. 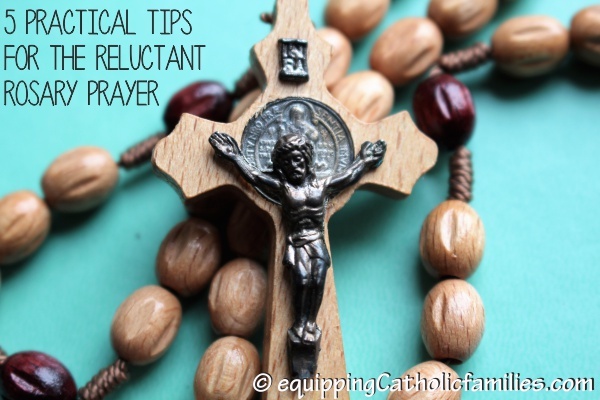 Recently, I have felt called to recommit to saying the daily Rosary and I have discovered 5 Practical Tips for making it a here-to-stay habit.